Linux users know pretty well Nmap (network mapper) tool which is precious in making a quick server host security evaluation. 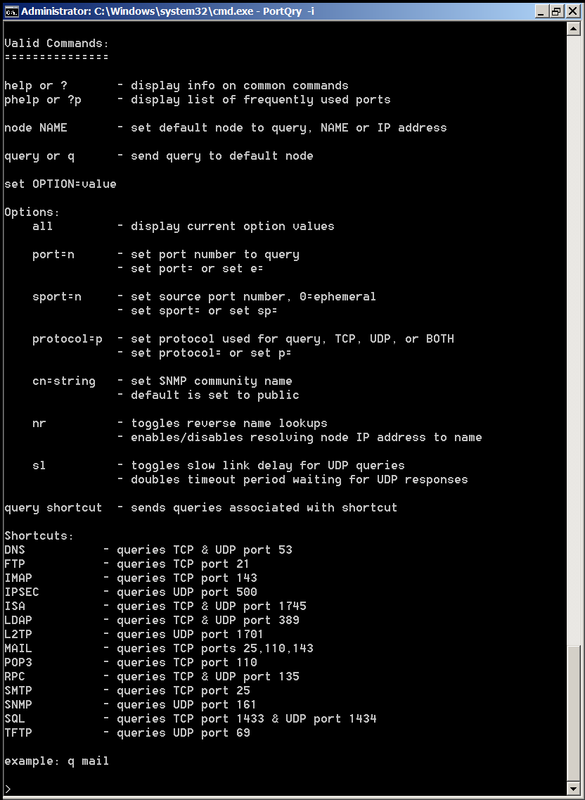 Nmap binary port is available for Windows too, however as nmap is port for its normal operation you have to install WinPcap (Packet Capture Library). And more importantly it is good to mention if you need to do some remote port scanning from Windows host, there is Microsoft produced native tool called PortQry (Port Query). PortQRY is a must have tool for the Windows Admin as it can help you troubleshoot multiple network issues. As of time of writting this post PortQRY is at version 2, PortQRY tool has also a GUI (UI) Version for those lazy to type in command line. 1. Following "Enter destination IP or FQDN to query:”, an edit box needs the user to specify the IP address or FDQN name of the destination to query port status. – Predefined services type. It groups ports into service, so that you can query multiple ports for a service by a single click. Service includes "Domains and Trusts", "DNS Queries", "NetBIOS communication", "IPSEC", "Networking", "SQL Service", "WEB Service", "Exchange Server", "Netmeeting", and other services. You can download portqry command line tool here or my mirrored portqry version command line port scanner here and PortQRY UI here. PortQRY comes in PortQryV2.exe package which when run extracts 3 files: PortQry.exe program, EULA and readme file. Quickest way to make portqry globally accessible from win command prompt is to copy it to %SystemRoot% (The environment variable holding default location for Windows Installation directory). 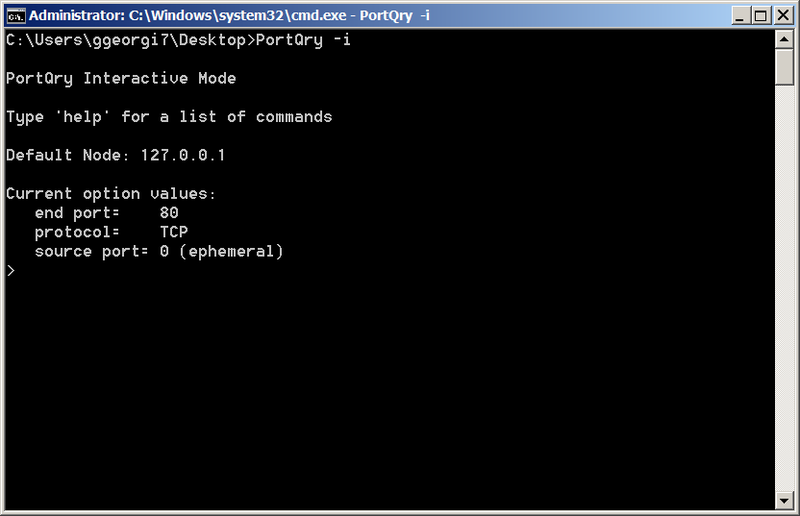 It is good idea to add PortQRY to default PATH folder to make it accessible from command line globally. Command Line Mode – is when it is invoked with parameters. 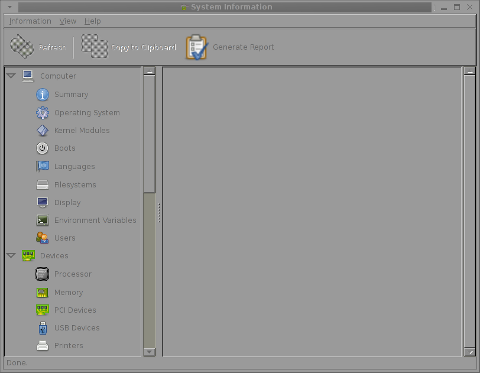 and Local Mode is used whether information on local system ports is required. portqry -n 192.168.1.20 -r 1:1024 | find ": LISTENING"
A network socket request initiation is useful from certain port because, some remote services expect connection from certain ports, lets say you're connecting to mail server, you might want to set as a source port – port 25, to make remote server another SMTP is connecting. portqry has also a silent mode with the "-q" switch if you want to get only whether a port is LISTENING (opened). PortQry is very simple port scanner for win sysadms and is precious tool for basic network debugging (services) on Windows farms, however it doesn't have the powerful cracker functionality, application / OS versioning etc. like Nmap. 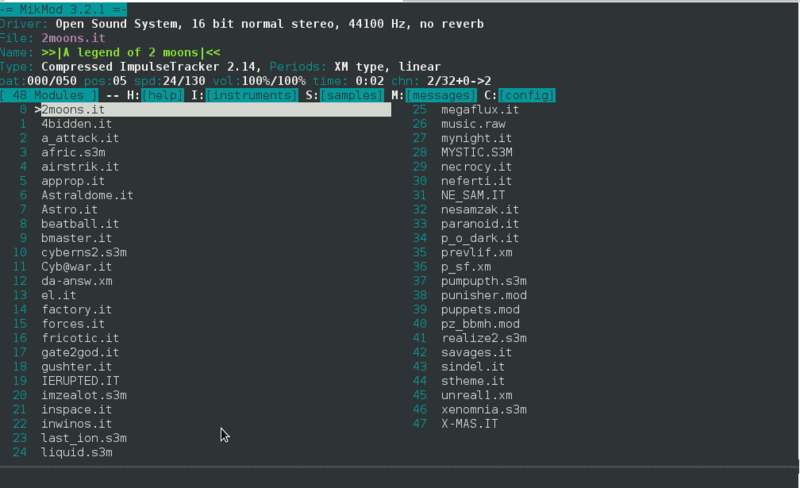 mpg123 is first mp3 player I ever used in Linux with no graphical environment and even to this day I install it on every Linux Desktop I have to configure. Its small its handy and it plays well most of mp3 music. Historically there was some issues with licensing of mpg321 making it not 100% (GPL-ed free software). Therefore a clone of it was made mpg321. 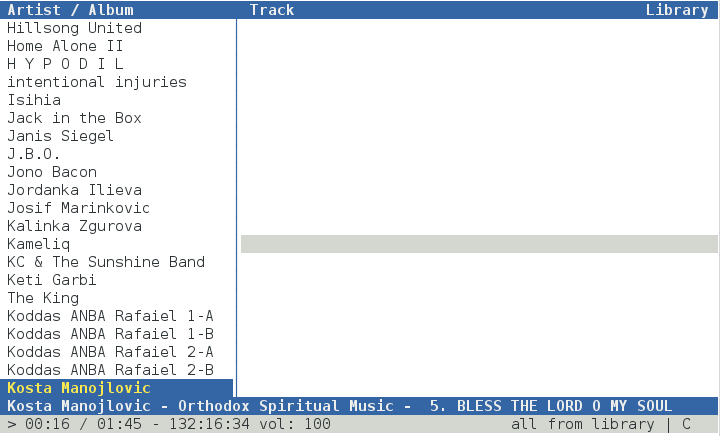 mpg321 is also a good mp3 player, but in some encoded mp3s my experience shows mpg123 plays music better (with less glitches). 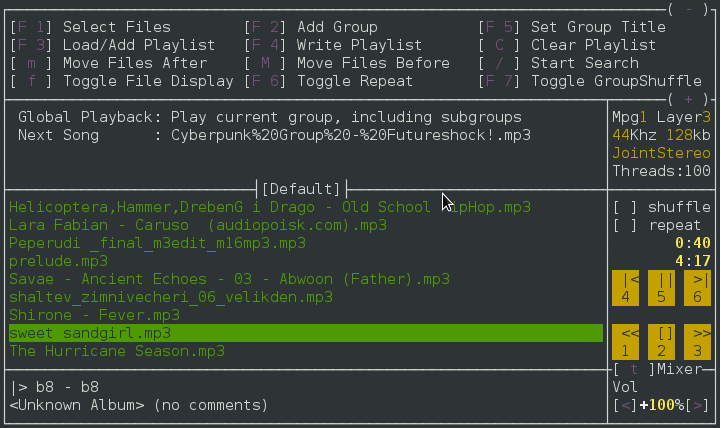 C* Music Player is a modular and very configurable ncurses-based audio player. Description: Ultimate Movie Player For Linux. Other newer player I just recently heard of is Herrie. I red quite positive things about it, installed it but never got into habit of using it. This post might be a bit trivial for the Linux gurus, but for novices Linux users hopefully helpful. I bet, all Linux users know and use the so common used last command. back in time when learning Linux, is that whether run it like this I can't see full hostname of users who logged in or is currently logged in from remote hosts consisting of longer host names strings than 16 characters. 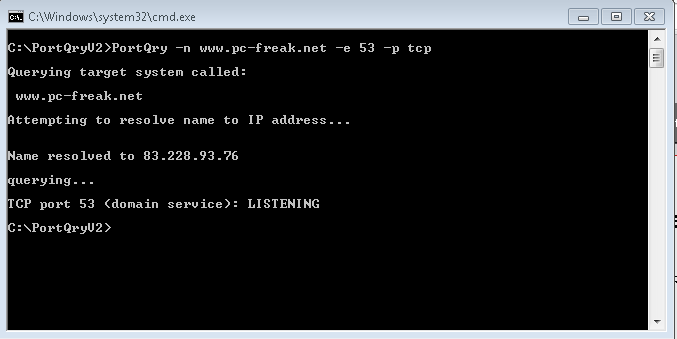 To show you what I mean, here is a chunk of last | less output taken from my home router pc-freak.net. The hostname last cmd output as you can see is sliced, so one cannot see full hostname. This is quite inconvenient, especially, if you have on your system some users who logged in with suspicious hostnames like the user play which is a user, I've opened for people to be able to play my system installed Cool Linux ASCII (text) Games. 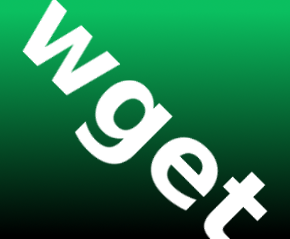 In normal means, I would skip worrying about the vexploit.net.s1….. user, however as I've noticed one of the ascii games similar to nethack called hunt was kept hanging on the system putting a load of about 50% on the CPU and was run with the play user and according to logs, the last logged in username with play was containing a hostname with "vexploit.net" as a hostname. This looked to me very much like a script kiddie, attempt to root my system, so I killed hunt, huntd and HUNT hanging processes and decided investigate on the case. Another way to get the full host info is to check in /var/log/auth.log – this is the Debian Linux file storing ssh user login info; in Fedora and CentOS the file is /var/log/secure. One note to make here is on every 1st number of month last command clear ups the records storing for user logins in /var/log/wtmp and nullifies the file. Though the other 2 suggested, methods are not necessary, as they are provided in last argument. They're surely a mus do routine, t when checking a system for which doubting it could have been intruded (hacked). Checking both /var/log/wtmp and /var/log/auth.log / and /var/log/auth.log.1 content and comparing if the records on user logins match is a good way to check if your login logs are not forged. It is not a 100% guarantee however, since sometimes attacker scripts wipe out their records from both files. Out of security interest some time, ago I've written a small script to clean logged in user recordfrom /var/log/wtmp and /var/log/auth.log – log_cleaner.sh – the script has to be run as a super to have write access to /var/log/wtmp and /var/log/auth.log. It is good to mention for those who don't know, that last reads and displays its records from /var/log/wtmp file, thus altering records in this files will alter last displayed login info. Thanks God in my case after examing this files as well as super users in /etc/passwd, there was no "signs", of any succesful breach. Users who are novice to Linux should be probably interested on how to get a decent Hardware System Information. Getting system info on Windows is quite straight forward, however on Linux and especially on Linux servers it is a bit confusing at first and even for people who spend years administrating Linux servers, or even have a Linux desktop it is very likely after a period of time to forget how exactly last time got the hardware system information. I'm administrating Linux servers and running a linux desktop for already almost 11 years and often it happened I'm away from configuring a new server for a year, or even when configuring a new server I don't need to get exact system information from command line, as I know it already from the server hardware manual. However whether managing a bunch of dedicated servers or purchasing new systems which are physically away and someone pre-configured the server with some basis Linux install, often a very raw info is provided by the Dedicated Provider on exact server metrics. Other situation, where it is good idea to have a precise system hardware vendor information on a server, is if you just joined a company with a bunch of existing dedicated servers, whose exact hardware configuration is no documented anywhere and suddenly some RAID or piece of hardware located on 1 of the 100 dedicated servers starts misbehaving causing hour down-times and client important data loss. In any of those cases it always takes me few times of research to find out what exact methodology I used to get the hardware info last time. To make my life for future times easier and not loose the few minutes of research and reading on how to get Linux server system information I decided to write this short article, which might hopefully be useful to others out there who face similar periodic questioning on what was the command to get hardware system info. A note to make here is that in order to have lsusb and lspci commands present you will have to have installed the deb packs lsusb and pciutils. However as I prior said, this tools output is not enough or the output is not enough systematic and hard to read and understand especially for lazy or short memory admins like me. Thus it is worthy to mention few others which can be installed as a separate packages and gives more structured and very precised information on what kind of machine hardware you're accessing through ssh. hardinfo is already the newest version. lshw is already the newest version. 0 upgraded, 4 newly installed, 0 to remove and 9 not upgraded. Need to get 827 kB of archives. After this operation, 4,506 kB of additional disk space will be used. 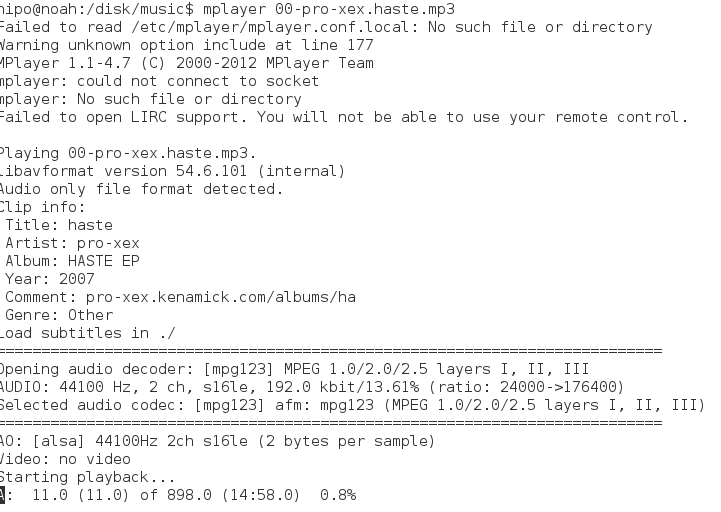 Selecting previously deselected package libhd16. Selecting previously deselected package hwinfo. Selecting previously deselected package superiotool. Selecting previously deselected package x86info. Next just try to launch the tools one by one and check the content of the output, in my view the most useful one and maybe also the most popular is dmidecode, the rest however might be useful to get specific hardware debug info. hwinfo will provide you a very long list of very thoroughful information on hardware. A lot of the info it shows however is not so useful for regular admins, but will be of high value to people who need to develop a new Linux driver for respective hardware. lshw provides long list of debug information and if the output is not redirected to a file the screen gets flooded, if not piped to less. For that reason I will not paste output here. APIC is a chip that remaps IOs and IRQs of your computer to the CPU(s), thus in most cases it is more of not so needed debug information. As you see biosdecode, also provides a lot of hex addresses, also reports on the exact CPU architecture on the system. The line XSD Table 64-bit Address: 0x00000000BCD9C068, indicated the host is running a 64 bit CPU, most of the rest info like Slot entries IDs etc. is not so useful. hardinfo, does a few benchmarking tests using CPU stress test algorithms to do Blowfish encryption, CryptoHash, Fibonacci, N-Queens, FPU FFT and FPU raytracing. This benchmark values, if run on a couple of hosts can be used to compare different hardware performances. The output from dmidecode is very very detailed and verbose. Though along with the useful info there is plenty of debug information, the debug information it provides is much user friendly / user comprehensible than the rest of tools, thus I guess dmidecode is nowadays preferred by me and probably most of the Linux sys admins. 59 structures occupying 2233 bytes. Though it is the most useful tool on some hardware configurations it might not display any data because the BIOS is lacking a DMI implementation. In almost all cases dmidecode is enough to check what kind of hardware you have ssh-ed to. dmidecode is available also not only on Debian but on Fedora and almost all (if not all Linux distros), through default repositories. 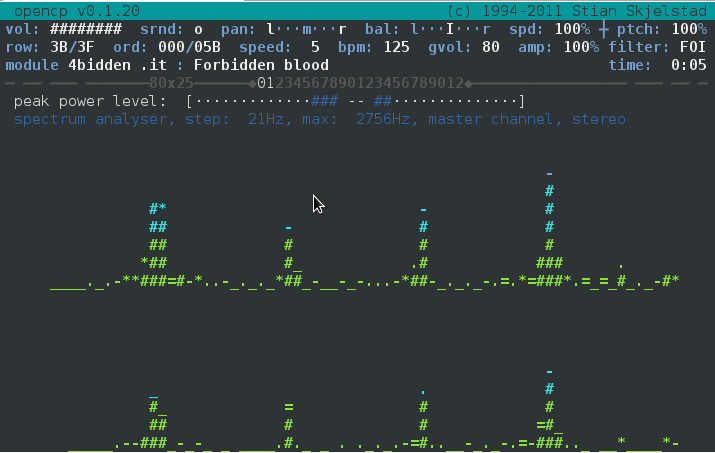 On Linux there is the hdparm tool for various hard disk benchmarking and extraction of hard disk operations info. Most Linux users should already know it and might wonder if there is hdparm port or equivalent for FreeBSD, the aim of this short post is to shed some light on that. The above output here is from my notebook Lenovo R61i. If you're looking for alternative command to hdparm you should know in FreeBSD / OpenBSD / NetBSD, there is no exact hdparm equivalent command. diskinfo is not so feature rich as linux's hdparm. It is just a simple command to show basic information for hard disk operations without no possibility to tune any hdd I/O and seek operations. All diskinfo does is to show statistics for a hard drive seek times I/O overheads. The command takes only 3 arguments. 40634 # Cylinders according to firmware. 75784 # Cylinders according to firmware. Above diskinfo output is from my FreeBSD home router. this is a sign the hard disk experience too many read/writes and therefore needs to be shortly replaced with newer faster one. diskinfo is part of the basis bsd install (bsd world). So it can be used without installing any bsd ports or binary packages. For the purpose of stress testing hdd, or just some more detailed benchmarking on FreeBSD there are plenty of other tools as well. spindown is useful in setting values to SATA drives which has problems with properly controlling HDD power management. To keep constant track on hard disk operations and preliminary warning in case of failing hard disks on FreeBSD there is also smartd service, just like in Linux. smartd enables you to to control and monitor storage systems using the Self-Monitoring, Analysisand Reporting Technology System (S.M.A.R.T.) built into most modern ATA and SCSI hard disks. 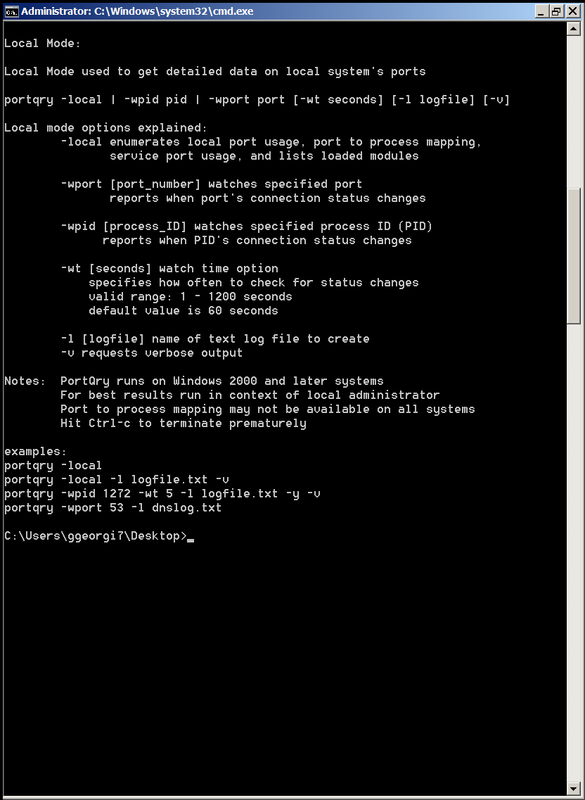 smartd and smartctl are installable via the port /usr/ports/sysutils/smartmontools. Check each one's manual for more info.